Each time old photos are viewed, it brings back a memory of a special gift for a special person and how relationships can enrich my life. 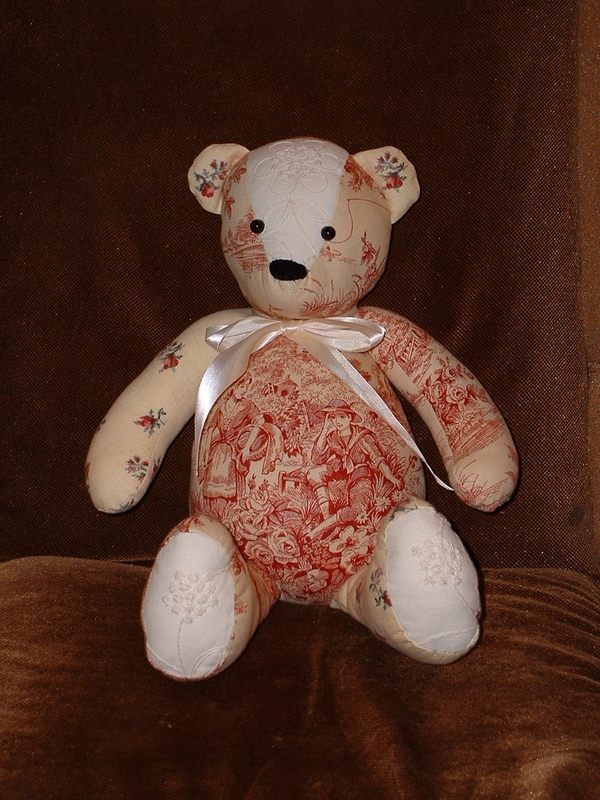 This teddy bear was a gift for a my daughter, who will remain in my heart forever. She was a wild young thing, but grew into a beautiful and lovely young woman. 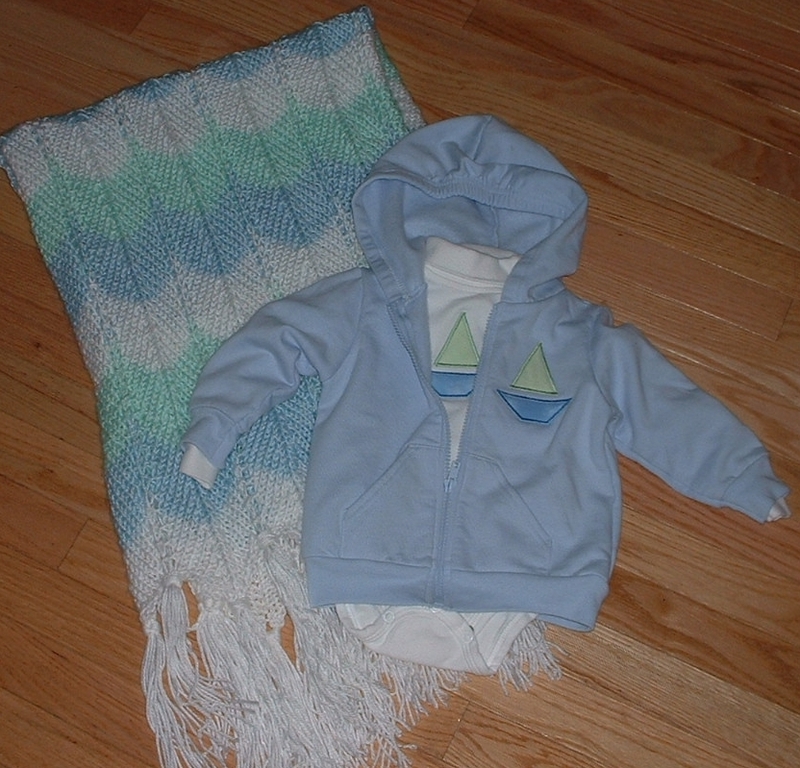 And a handknit blanket and homemade outfit for little Joey who is SO very adorable. We all make gifts, little ones and ones that take eons to finish. They are gifts not only for the recipient, but for those corners of our hearts where memories linger forever.